Going into wedding season, our team had a few dates on the calendar that we knew were going to be much busier than others. One of those dates: Saturday, October 8th. From the minute we started booking fall weddings last year, this was one of the first dates to get filled up. And the anticipated crazy day did not disappoint. However, we are not complaining because truth be told, we love it! Experiencing a day that is jam-packed with weddings is just a part of our job and it's a a part of it that we happen to really enjoy. Especially when you partner with other incredible wedding vendors such as the planners at Mint Springs Farm, professional photographers like Janelle Elise and Betsy and Nyk + Cali, great catering staffs from Edleys BBQ, Chef Penelope, and Chefs Market, and beautiful venues such as The Cordelle, Mint Springs Farm, and the Schermerhorn Symphony Center to name a few. Honestly, all of the vendors we partnered with this weekend were great and that makes the whole day flow so much easier. Oh and did we mention all of the fun couples that we got to work with? High energy songs, Bridal Party's that were really ready to celebrate, a lot of just married fun.. Wow, we could go on and on. But instead, I'll stop here and let you see all of the details from each one of these rockstar weddings for yourself.. Enjoy! Natalie and Nick's wedding at Mint Springs Farm was beautiful! 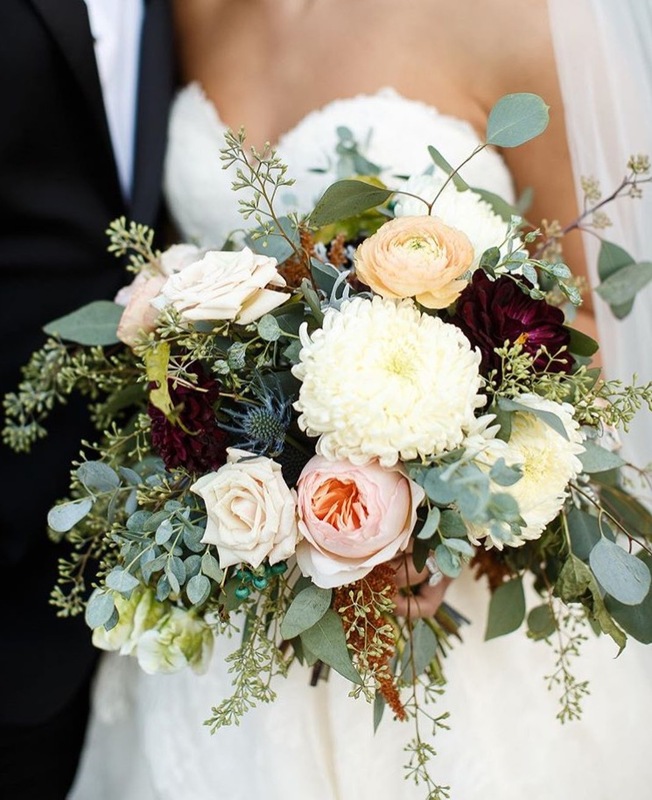 Gorgeous floral from the bridesmaids bouquets to the reception barn, this wedding reminded us all of the nice fall weather that we all know and love. Natalie and Nick had such a nice ceremony and cocktail hour, and the reception was just as much fun. A band and DJ/MC mashup has become one of the most requested wedding services for us, and the Bobby Cool Band was a great group to partner with. Playing in between sets, getting and keeping everyone on the dance floor, and making all of the appropriate announcements kept the night flowing smoothly. It was a fun night of celebrations and we're so glad that we were a part of it. 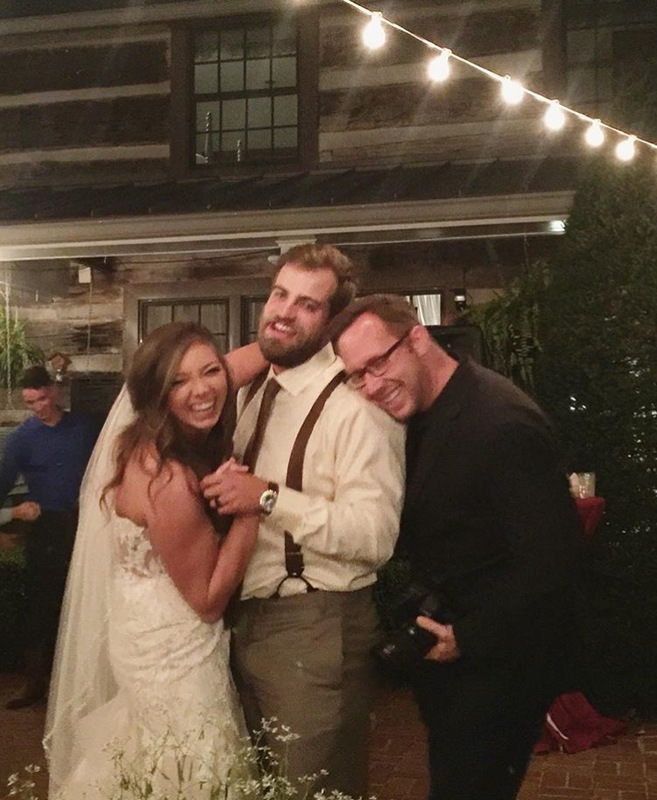 Congratulations again, Natalie and Nick! The Cordelle has become one of my absolute favorite venues; I love the details, the original hardware, re-purposed wooden floors, the rustic and modern vibes, aahh I could go on and on. But seriously this wedding was nothing short of absolutely gorgeous. 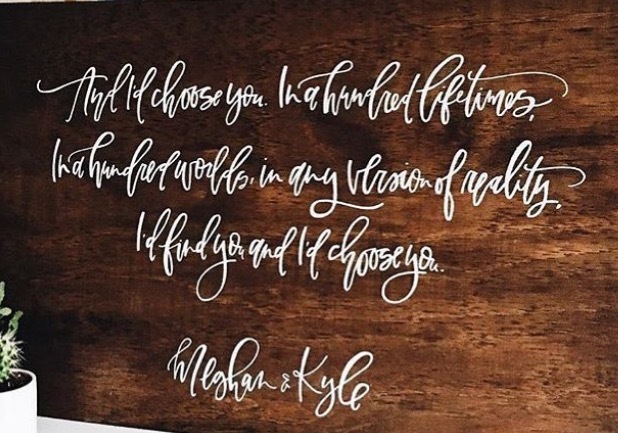 When Meghan and Kyle came back up the aisle after saying their vows, you could see their smiles gleaming from ear to ear. 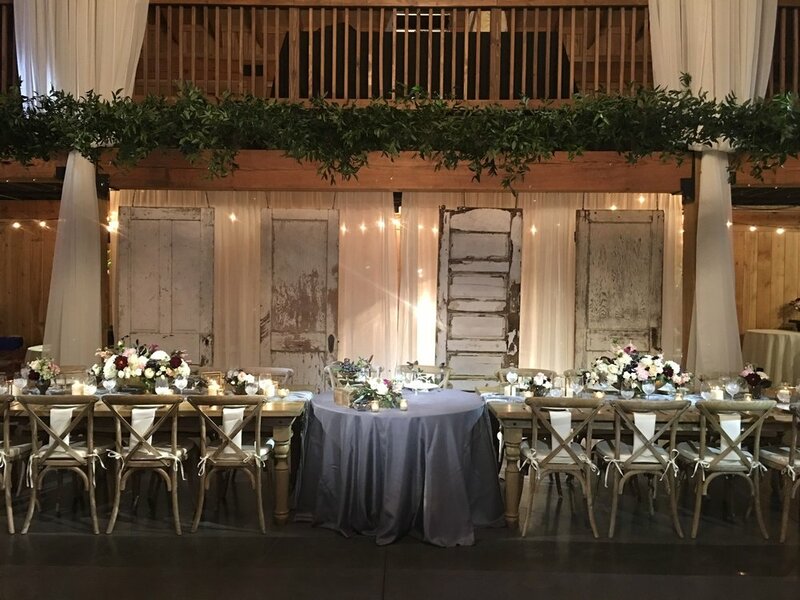 Gorgeous decor and floral planned by Kenzie Events and Village of Flowers. When it was time to open the dance floor, this group loved songs by Bryan Adams, Miley Cyrus, Taylor Swift, Journey, and James Taylor to name a few. It was such a beautiful and memorable wedding, and we're so glad that we were able to be a part of it! Congratulations again, cheers to you both! Meghan's Dad approached their wedding planner at the end of the night and told her, "I kept telling Meghan that it'll be a good day, but it won't be perfect. Nothing is perfect. Some things may not go as planned, so be ready for that. Before she got in the getaway car she said, 'you were wrong dad, it was perfect.'" 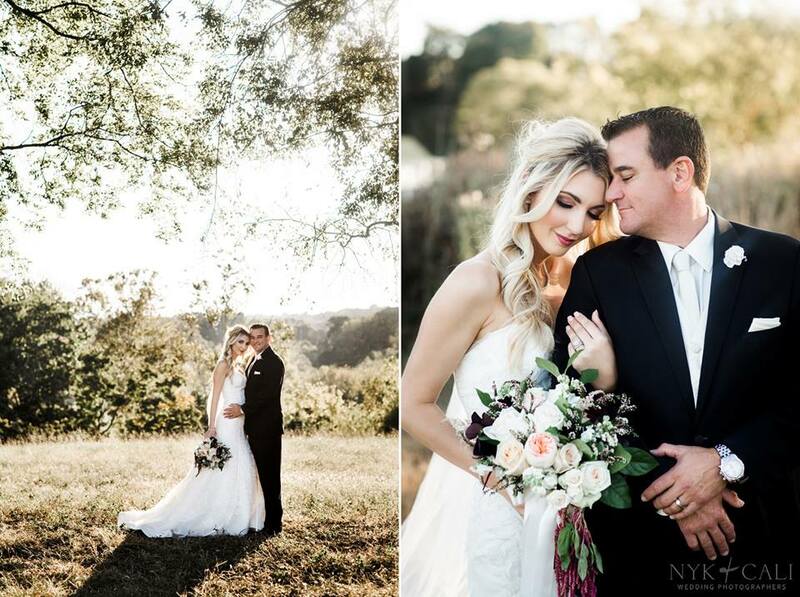 A natural, down home backdrop that looked beautiful in every setting, in every location around this private property. The only way to describe the love between McKenna and Carson is to say that their love is genuine. It's the kind of love that you sense by watching them on the dance floor for their first dance together as Husband and Wife. It was a fun night of dancing to songs by R. Kelly, Fifth Harmony, Lupe Fiasco, and Three Dog Night to name a few. We loved their pick for their last dance, Don't Stop Believin' by Journey, a classic party song that has transcended through the decades. 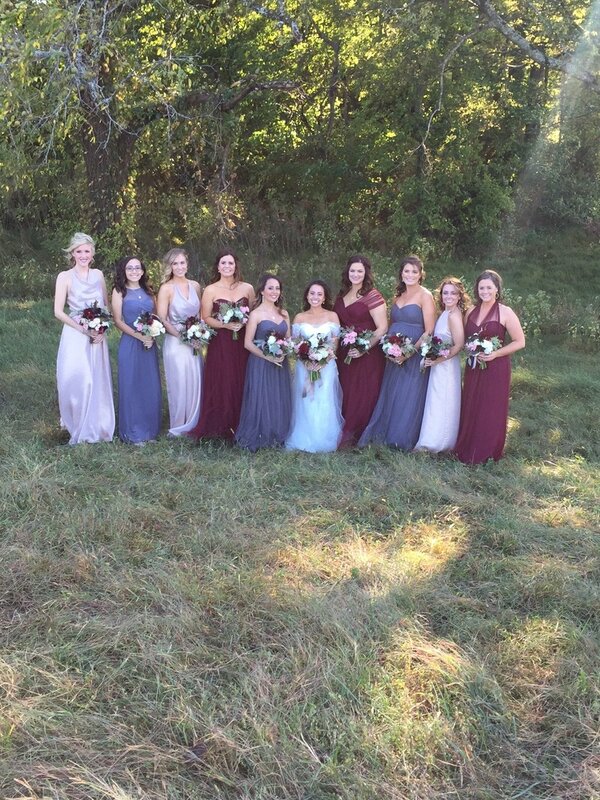 Congratulations again McKenna + Carson, cheers to you both! A very sweet ceremony followed by a seasonal cocktail hour, while Erica and Phillip got their first look at the reception barn. Cocktail hour made it's way inside as the Tennessee game heated up. A large portion of the guest list were huge UT fans, and right as dinner started was when all of the craziness started with the fumble/touch back versus Texas A&M. Dinner was actually delayed because so many people were watching the game, and when UT tied the game, the barn seriously erupted! We played Rocky Top even after the loss and everyone sang every single word. It's safe to say these were true Tennessee fans. Once it was time to hit the dance floor, it was time to party. This newlywed couple were fans of 90's hip hop from J Kwon, Jagged Edge, Blackstreet and big Beyoncé fans. The last hour the entire dance floor was shoulder to shoulder and singing every song. Our last dance was Journey Don't Stop Believin and it was a great send off with Erica and Phillip in the middle with all of their friends surrounding them, singing to them. 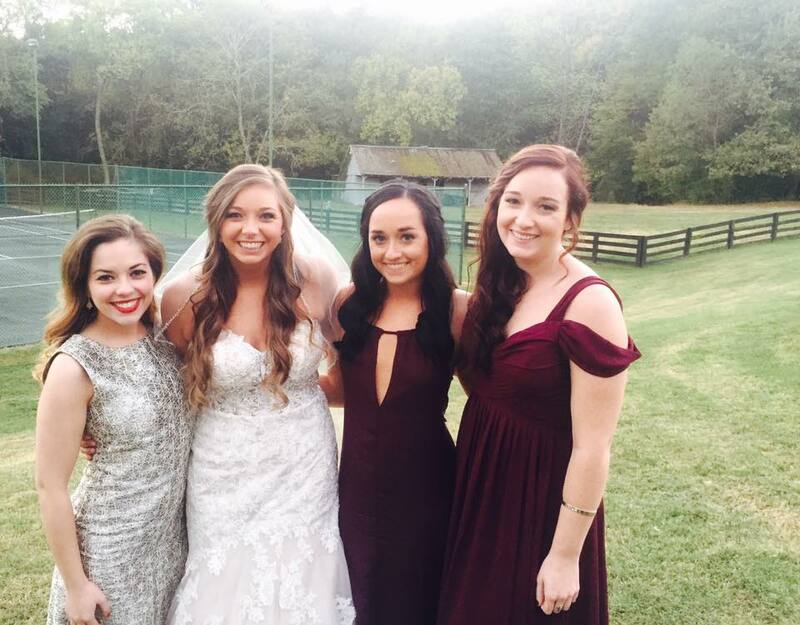 This wedding was a blast from beginning to end! 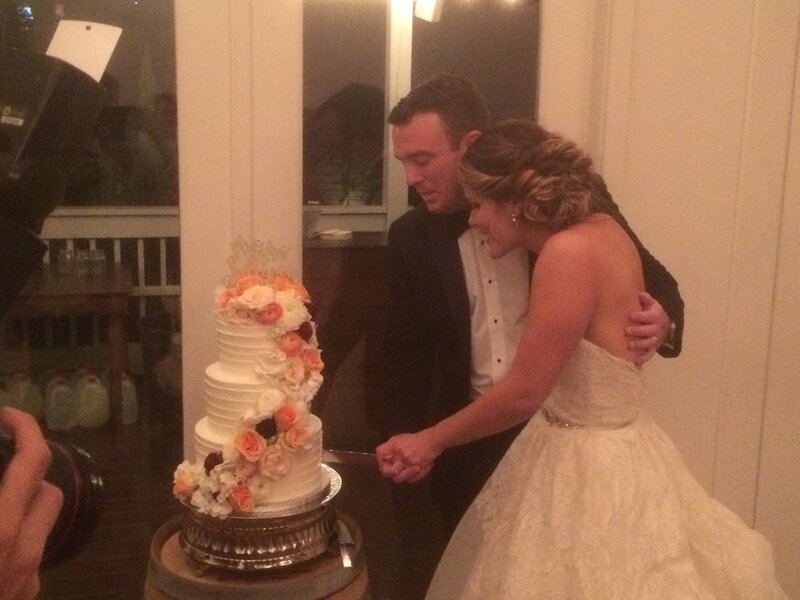 Congratulations again, to the new Mr. and Mrs., EricaPhilip, we wish you both so much happiness! A 4:30 PM ceremony start time was perfect to capture enough sunlight and highlight the colors of fall that surrounded the Schermerhorn lobby. An intimate wedding, surrounded by 100 of their closest friends and family members and a formal fête was the perfect combination for a truly romantic reception. A plated dinner prepared by the Chef's Market until it was time to get up and celebrate! These two Newlyweds danced to songs by the B52's, Neil Diamond, Jack Johnson, Otis Day, and Walk The Moon to name a few. 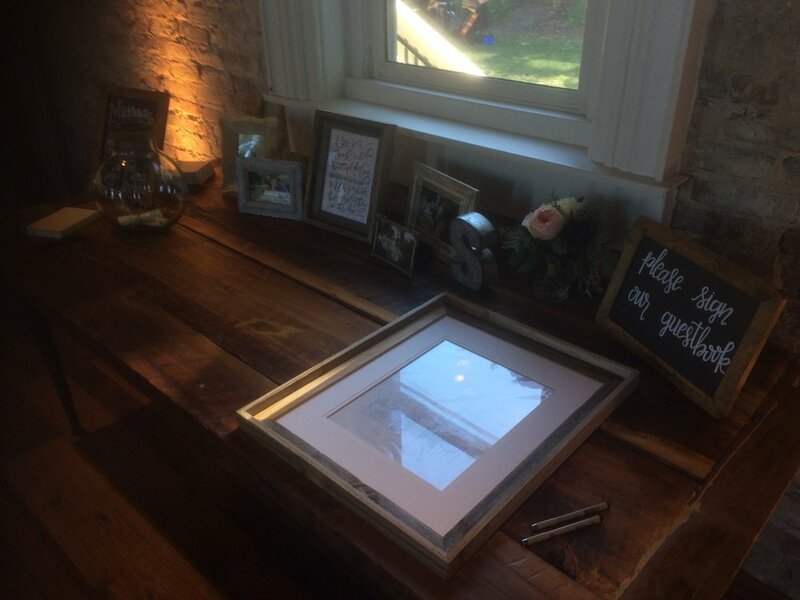 It was a gorgeous wedding and we're so glad that we were able to be a part of this special day! Congratulations again, Alison and Kyle.. Cheers! An emotional Groom seeing his Bride for the first time was the perfect reminder of what true love looks like; with moments captured so naturally by Nyk + Cali Photography. So many gorgeous decor details associated with this wedding that we couldn't take enough pictures that would do Victoria + Arthur's wedding justice. From the suspended candelabras to incredible wedding cake complete with roses, to the gorgeous sweetheart chairs with the insanely beautiful tablescape.. Wedding. Envy. But if I'm being honest, this couples love for one another was more beautiful than their details. In fact it was the only detail that really mattered. Arthur + Victoria chose songs by Kenny Chesney, Eric Clapton, Flo Rida, and Whitney Houston to get everyone on the dance floor. It was a fun-filled and beautiful night, and we're so happy we were able to experience it. Congratulations again! 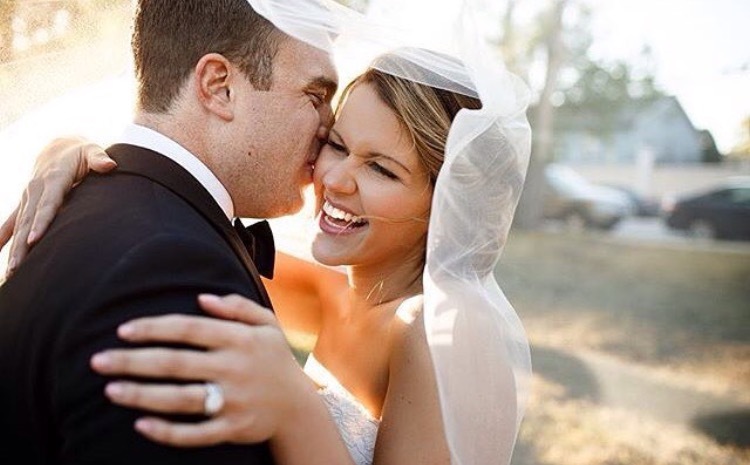 Congratulations to all of our Newlywed couples again! If you're interested in booking Snyder Entertainment for your 2017 wedding and/or other event, please contact us today! Nashville Events | Eat, Drink, and Be Scary with our Murder Mystery Experiences!